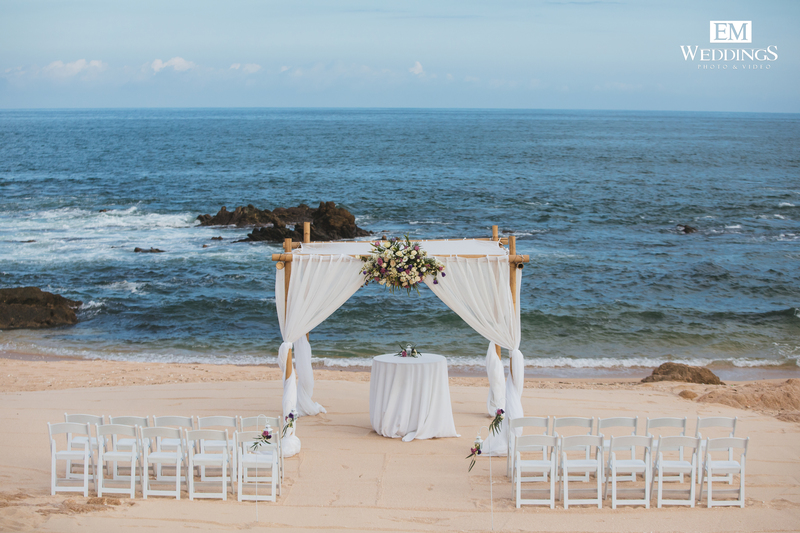 The Grand Fiesta Americana Los Cabos is a perfect destination wedding choice, situated along the dividing line where the Mexican desert meets the sea. The architecture is designed to maximize every breathtaking mountain and ocean view. 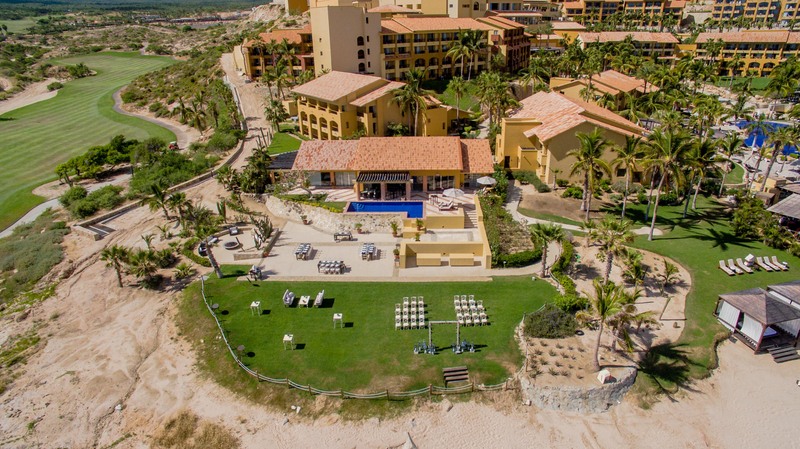 Being one of the most distinguished resorts in Los Cabos, your Grand Fiest Americana Los Cabos wedding will be equipped with amazing coastal views and a variety of activities to participate in during your stay, including world-famous golf courses designed by Jack Nicklaus, and a spa that uniquely uses the benefits of wine to its advantage. The pools are perfectly designed for wedding guests of all ages to enjoy, from an adults-only pool to a family pool, and they all feature plenty of loungers. For a treat after your wedding ceremony check into the Spa which offers wine-based treatments. 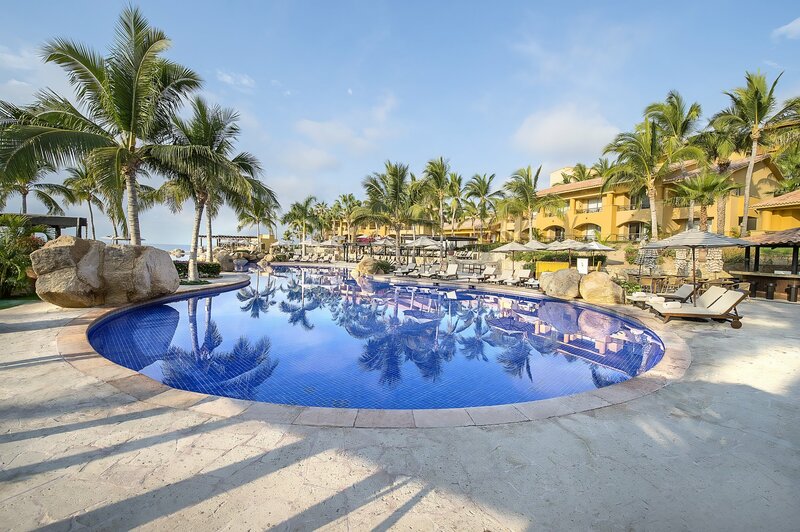 Although the resort offers unparalleled views of the mountains and the Sea of Cortez, the ocean waters aren’t actually swimmable. There is still plenty of beach space to tan and relax. The entry-level wedding package is solely for the wedding couple. 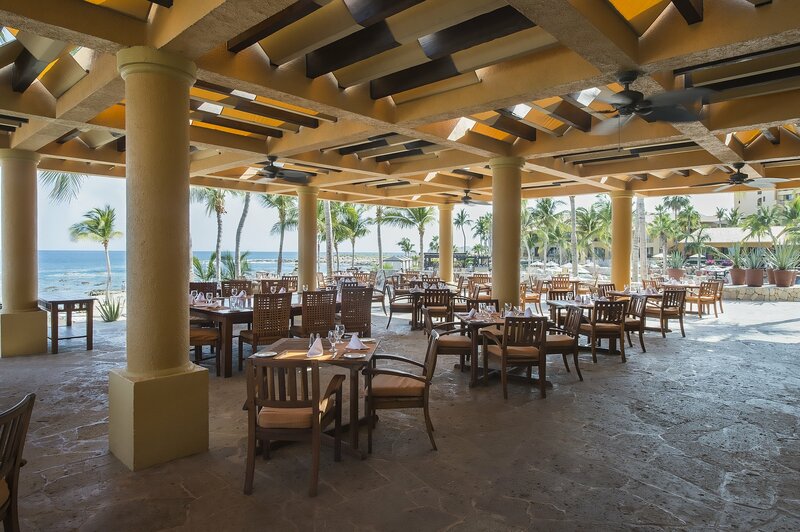 The next step up is the Beso Package, which welcomes 20 guests, staying at the resort, beginning at $2120. Indian wedding packages are available. Upgraded packages, additional guests, and add-ons are available for an additional cost. $180 – $240 average price per person per night. Rooms include private balcony or terrace, minibar, and 24-hour room service. Children 4 and younger stay free. There are 526 rooms with resort and ocean views. Due to the large size of the resort grounds it is recommended for more active guests. Ballroom – 900 guests max, Beach – 700 guests max, Fairway Terrace – 300 guests max, Whales Terrace – 250 guests max, Imperial Suite – 180 guests max. This hotel allows a maximum of 3 adults per room or 2 adults and 1 child 12 and younger per room. 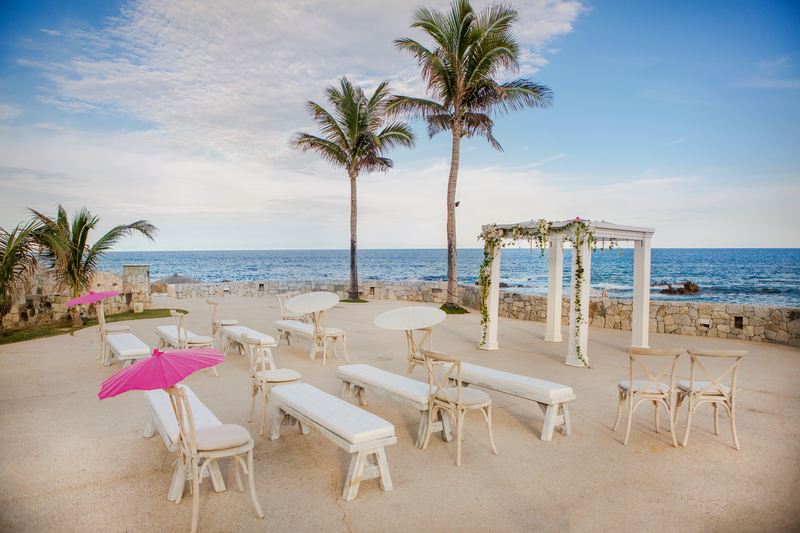 Grand Fiesta Americana hosts 1 wedding per day in order to focus on that couple. To book a specific venue with a certain date in mind, it is highly recommended to book at least 6 months in advance. According to the wedding department, the busiest months for weddings are March – July. The resort is located 28 miles from the SJD airport. 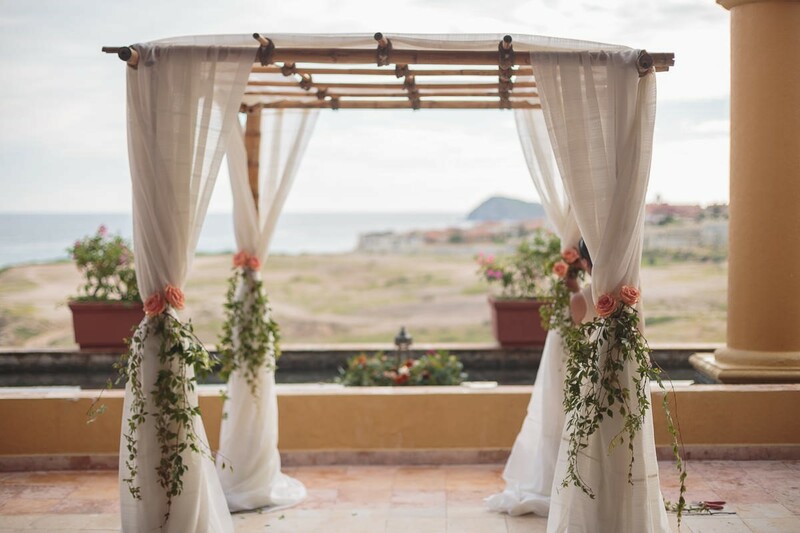 A: As we do only 1 wedding per day we haven’t had inconveniences with venues or availability, we can confirm venues and availability before planning. However one of our challenges is the weather, this is something that we cannot control. fortunately we have ballrooms and are always prepared with a plan B. It is our responsibility to keep the couple informed and calm. A: The typical compliment is that we exceed their expectations and that we make them feel stress-free. A: To be honest I love all of the process. To me it is very exciting when I start the communication, when a contract is signed, when I meet them in person, when I see them happy and their entire group. There are a lot of feelings for example: people that travel out of the country for the first time, the presence of grandparents, family and friends that come from a long way to share that moment with the wedding couple. There is a lot of love, and emotions in the middle. The end of the wedding is a very satisfactory moment and also the moment of the check-out when you say bye to your new friends. It is very exciting when the couple comes back for their anniversary and consider you as a family member. A: We have this repeat couple that come every year to the resort, two or three times in a year. 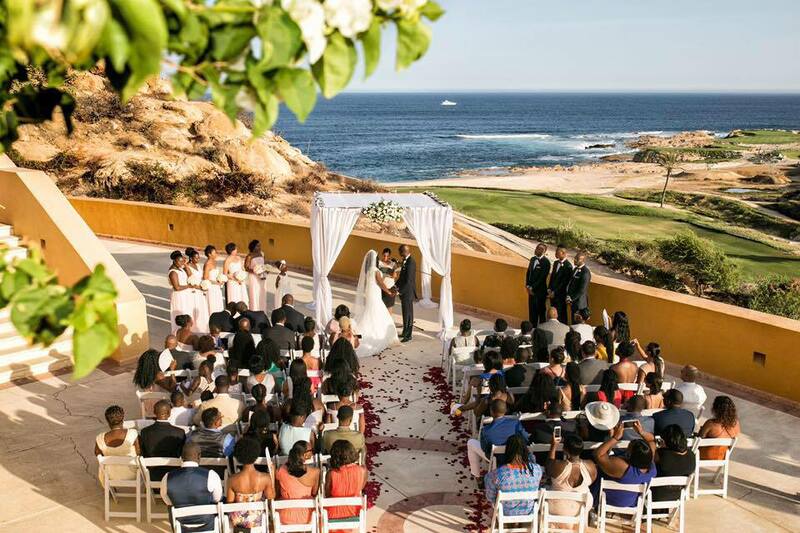 They chose Grand Fiesta Americana Los Cabos as their wedding venue. We love them at the resort. They had 4 days of their event, with private check in, welcome Mexican party, country night, the wedding day and a brunch the day after the wedding. The first two nights were perfect, fantastic events with lot of décor, music, special details and happy guests. Until then the weather was perfect. But on the wedding day it was cloudy when we checked the weather forecast, that day was a rainy day. The wedding couple had a beautiful event designed and they wanted to wait until the last minute to decide between moving to a ballroom or keeping the event on the beach. It was a hard time because of all the production, we couldn’t wait until the last minute. We had to cover one of the terraces close to the ballroom and adapt all the design to the terrace. There were more details with some boxes with décor that she shipped to the hotel one month prior and didn’t get there until the wedding day. At the end everything went nice and smoothly. When she was walking to the aisle the sun came out. At the end they were very grateful for all we did and they still come every 4 months.